HEM Paving is excited to announce that HEM concrete paving products have received GSA Approval. 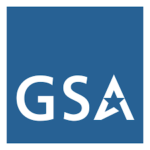 GSA Approval is a status used to describe organizations and products that have been approved to sell to the United States Government through the U.S. General Services Administration (GSA). HEM Paving achieved this status through their partnership with FedHarmony, an Arlington, VA company which serves as the liaison between manufacturers and federal government agencies. Achieving this status will make it easier for HEM Paving products to be sold to the branches of the U.S. Military for use in international theater locations, as well as make the products more visible to purchasing agents in domestic national, state and local government and municipalities. Current HEM products included in this program are the TC12-28 Texture Cure machine, PS12-28 Placer-Spreader, and the SFP12-27 and SFP14-37 Slip-Form Pavers. All products are available under the GSA number GS-30F-040BA. For more information contact Darren Huinker, VP, Sales HEM Paving at darren@hempaving.com or +1.319.240.9068.